American Airlines made a major announcement about changes to its AAdvantage mileage program in November, including a huge overhaul of its award chart. As it turns out, there may be a silver lining for some flyers. TPG Special Contributor Eric Rosen takes a look at some of the redemptions that will actually get better (and a few that will stay the same) after the award chart changes go into effect on March 22, 2016. American Airlines’ award chart changes go into effect in less than a week. Many have cried foul over increasing redemption requirements for many premium-cabin awards (and if those are your goal, better get booking!). However, those looking to fly economy as well as on partners in various regions other than just the contiguous 48 states might find some better numbers in store for them. Here’s a look at the awards that will be getting cheaper post-March 22, in which case you might want to hold off on booking. Book those premium awards now, but hold off on some of your economy redemptions until after March 22. Note that American’s charts for its own flights versus those of its partners do vary in some important ways. For instance, you won’t find domestic short-haul awards at a different level on partners (including Alaska), and the off-peak dates on partners are going to get severely limited. So be sure you’re looking at the right chart when plotting out your strategy and crunching those numbers. Many economy flights will get cheaper, both on American Airlines and its partners, and those originating from the contiguous 48 states as well as other regions. That said, these are MileSAAver levels — so the lowest standard redemptions. What that might mean is that American intends to make fewer of these low-level awards available while making some of its higher-level ones easier to snag at the cost of more miles, but only time will tell. Before you try to book any travel, consult our guide on American Airlines award routing rules to help you plot out your flights. You’ll note that there are what appear to be some strict rules about how and where you can route through various regions as well as maximum-permitted mileage limits. In practice, however, these are a bit more flexible than they might seem. For instance, you should theoretically not be able to route from Asia 2 (including China and Singapore) to the US via the Middle East, but I recently was able to book a Saver-level single-priced award using American miles on Etihad from Sri Lanka to New York via Abu Dhabi on Etihad. So there is some room for maneuvering (and feel free to report your own successes in the comments section!). As I mentioned, most of the awards going down in price are in economy. And though we often discuss business- and first-class awards as great ways to maximize the value of your miles, some of these main cabin options can be great redemptions, too. Plus, many are on short routes and on older aircraft, where you’re not missing much by not redeeming for a premium seat. 1. Contiguous 48 states and Canada flights under 500 miles: It appears that American has taken a page from partner British Airways’ book and made certain short-haul flights on its own metal cheaper for mileage redemptions. You’ll note that the new 7,500-mile requirement matches up with BA’s recent shift from 4,500 to 7,500 Avios each way for the shortest flights within the US. This also follows moves in recent years by United and Delta to price short-haul domestic economy awards at lower prices than your standard 12,500-mile level. Example routes: This will likely most benefit flyers on either coast, especially those taking the short but expensive flights between Boston, New York and Washington, DC, as well as from New York to Toronto or Montreal. West Coasters will find cheaper redemptions on flights from Los Angeles to San Francisco, while those in Texas might benefit from lower mileage levels for flights between the airline’s hub in Dallas and other major cities like Austin and Houston. There are a lot of great routes under 500 miles. 2. Contiguous 48 states to the Caribbean in economy: American is actually dropping this award redemption on popular routes throughout its Caribbean network. That said, these redemptions only apply to American’s own flights, not those on partners. Example routes: Thanks to its hub in Miami, American has an extensive network of routes to destinations all over the Caribbean, including Grand Cayman, Aruba, Barbados and more. American has a lot of Caribbean routes thanks to hubs in Dallas and Miami. 3. Contiguous 48 states to Mexico: Like awards to the Caribbean, American is dropping the redemption requirements for awards on its own flights from the US to Mexico, so be sure you’re looking at awards on AA’s own metal. Example routes: American flyers can hit any number of Mexican destinations from the airline’s hubs in Dallas, Los Angeles and Phoenix, including Cabo, Cancun and Puerto Vallarta. A few of American’s Mexico routes. 4. Contiguous 48 states to Central America: Just a slight drop, but American is lowering both off-peak and MileSAAver awards on its own flights to Central America (partner redemptions are remaining the same). Example routes: American operates flights to several destinations throughout the region, but ones you might redeem these awards on include Dallas or Miami to San Jose, Panama City or Belize. Wait to head to Central America until after the changes go into effect. 5. Contiguous 48 states to Asia 2 off-peak: Another slight drop, but one worth noting, especially because of all the countries that are contained within the Asia 2 region, including China, Hong Kong and Singapore. 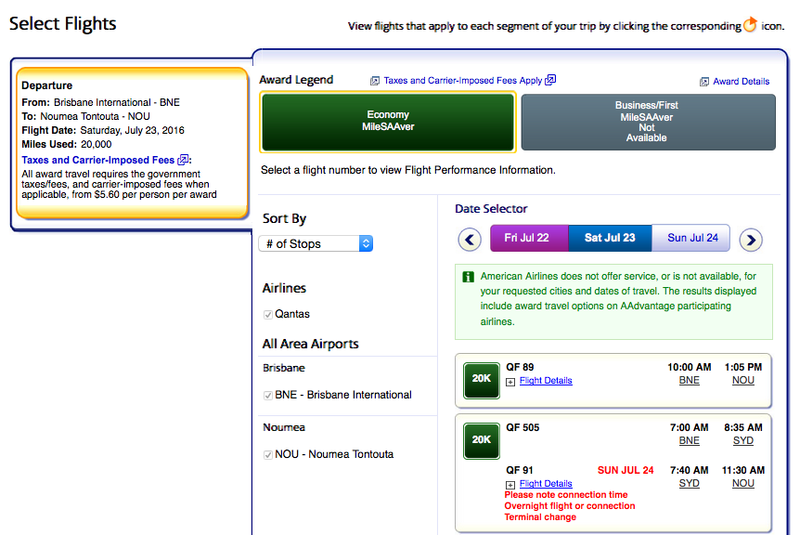 Just note that this redemption is only for flights on American itself, so that limits it quite a bit. 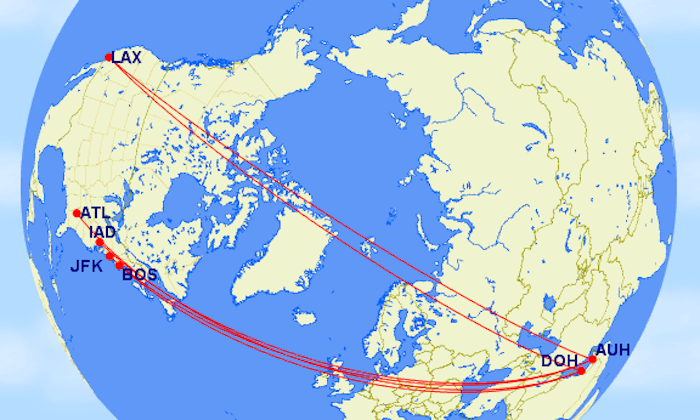 Example routes: American’s own routes to this region are a bit of a hodgepodge, but you might find this redemption useful on its flights from Dallas to Hong Kong (and its upcoming LAX-HGK route), as well as from Dallas and Chicago to Beijing, and Dallas, Los Angeles and Chicago to Shanghai. Just be sure to book American’s own flights on routes to Asia to take advantage of the new off-peak pricing. 6. Contiguous 48 states to Middle East/India: You might not want to do a long-haul like this in economy, but if you do, at least you’ll be paying fewer miles. These are for awards on American’s partners, so you can use your miles to book flights on British Airways, but also Middle Eastern carriers like Etihad and Qatar Airways. Example routes: American is partners with Qatar Airways through Oneworld and independent partners with Etihad, and each airline services several US cities from their hubs in Doha and Abu Dhabi respectively. On Qatar, you might catch the airline’s latest flight from Los Angeles to Doha, or upcoming routes from Boston (starting March 16) and Atlanta (starting June 1) to Doha in addition to its other existing gateways like New York and Philadelphia. Among other destinations, Etihad flies from Abu Dhabi to Los Angeles, New York and Washington, DC. American partners with both Etihad and Qatar Airways in the Middle East. Here are a few sample routes. 7. Canada and Alaska to the Middle East/India: It might not seem that pertinent, but if you happen to be up north, or buy a cheap flight up to Canada, it could end up saving you some miles. Especially if you find availability on the airline’s partners from Canadian cities when those to US destinations could be scant. Example routes: You could take Etihad’s nonstop from Abu Dhabi to Toronto, or Qatar’s route between Doha and Montreal and then connect to India or the Maldives. It might be worth it to head north to Canada before setting off overseas. 8. Central America to Europe: This is actually one of the most dramatic drops on the whole chart, and it’s valid for AA’s partner flights. Example routes: Again, this might not be the easiest routing for some folks, but if you can hop a quick flight down to a Central American hub like Panama or San Jose, or can combine two trips into one, it might be worth it to save 25,000 miles round-trip. You can connect on American’s flights from Central America to its hubs in Dallas or Miami and then continue onto a European partner’s hub like London, Helsinki or Madrid. Pop through the US en route to Europe from Central America. 9. Central America to the Middle East/India: Central America is turning out to be quite the bargain region… if you can find the time to jet from the beaches of Costa Rica to those of the Maldives. 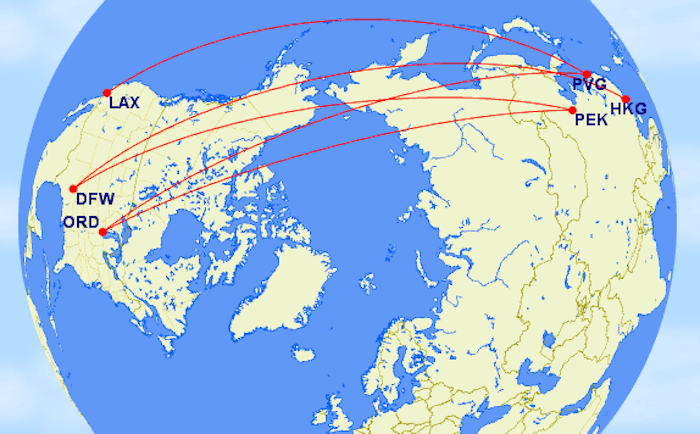 Example routes: Again, this will take a bit more flexibility and sleuthing on your part, but you could connect from Central America to a North American hub and then fly either Etihad or Qatar Airways to their hubs in the Middle East and either stop there or continue on to India. It’s a few connections, but if you’re already in Central America, you’ll be saving miles. 10. Central America to Africa: Another dramatic drop, though perhaps of limited usefulness to North American-based flyers. Example routes: You could perhaps connect from a city like Panama or San Jose to American’s hub in Miami and then continue on to London and finally to Johannesburg from there. That’s a lot of time in an economy seat, though, and agents might have trouble pricing it out given the amount of regions involved. It’ll be a long way to fly, but you’ll be saving miles. 11. South America 1 to South America 2: Another set of partner redemptions that’s going down, this should help travelers transiting around South America on partners like LAN and TAM. Example routes: A route where this could make a lot of sense is connecting from LAN’s hub in Lima to other major gateways further south like Santiago or Buenos Aires. Here are sample award listings on LAN’s flights from Lima to Santiago. 12. South America 1 to Europe: If you’re already down south and looking for a way to avoid having to come back through the US on a separate award, this could be a good way to circumvent the continent altogether and just head straight to Europe. Example routes: You could take advantage of LAN and Iberia’s flights from Lima to Madrid, or LAN’s from Quito to Madrid, for example. Here’s a sample award found on British Airways’ site on Iberia’s Lima-Madrid route. 13. South America 1 to Africa: Not a huge drop, but 15,000 miles round-trip is nothing to ignore. Example routes: Again, you’ll probably be hard-pressed to find some really useful routes, but you could consider flying via Europe to Africa on carriers including British Airways, Iberia and LAN. It can be done! 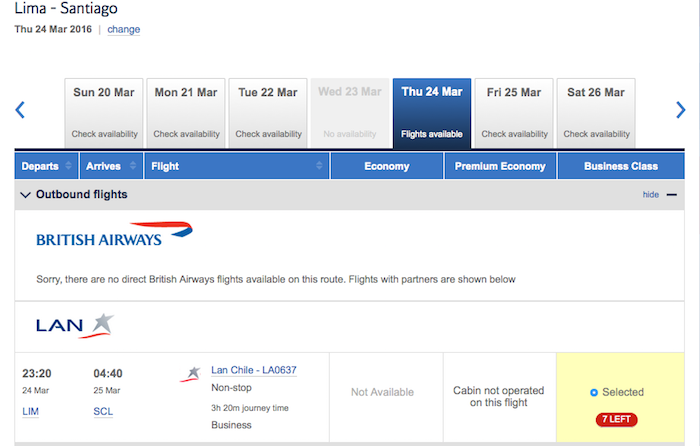 For instance, here’s a sample economy award from Lima to Johannesburg via London on British Airways (note that this is at the current mileage level). 14. South America 2 to Middle East/India: Another offbeat option, but still one to think about in case you can fly from a hub like Buenos Aires or São Paulo to Europe and connect to India or the Middle East from there. Example routes: Try combining airlines, so you could fly TAM or BA from São Paulo to London (or Iberia to Madrid) and connect there to the Middle East on Qatar Airways. Take advantage of BA or Iberia’s flights to get from South America to the Middle East. 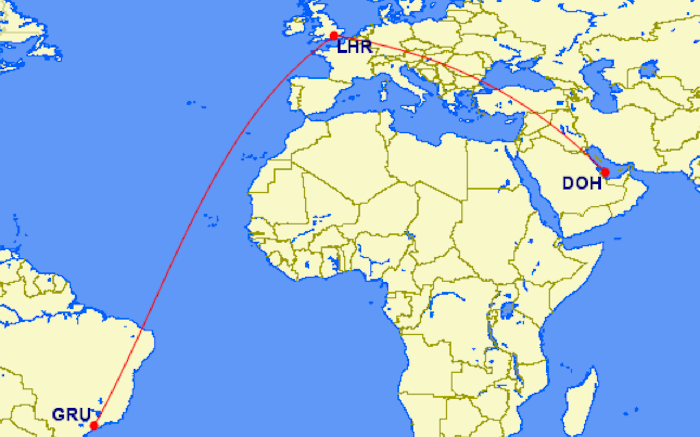 Example routes: It makes sense to fly straight across the Atlantic, but you’ll likely only see flights on South African Airways from São Paulo to Johannesburg, so you won’t be able to use your AA miles on that. Still, it might be worth considering a connection in Europe or the Middle East to get to Africa … if the agent can get the award to price out. If only you could fly a more direct route! 16. South Pacific to South Pacific: This is an interesting region and American actually considers awards wholly within Australia, Fiji or New Zealand as separate from regional awards in general here. 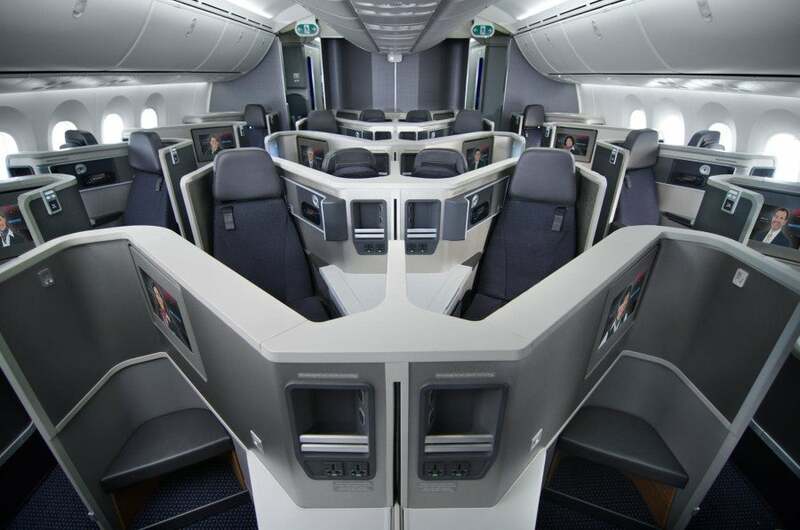 Awards within Australia are staying the same in economy, but going slightly up in business class (from 17,500 to 20,000 miles each way), as are both economy and business-class awards between Australia and New Zealand. Awards within Fiji are going down from 7,500 to 5,000 miles each way in economy and from 12,500 to 10,000 miles in business class. However, South Pacific awards in general are also being lowered 5,000 miles each way in economy. Example routes: As I mentioned, redemptions within Australia are not changing, and those from Australia to New Zealand or vice versa are actually going up in price. So to take advantage of this new pricing, you’ll want to find awards between Australia or New Zealand and another destination within the region such as to Fiji on Fiji Airways, New Caledonia on Qantas, or between New Zealand (but not Australia per AAdvantage’s rules) and Tahiti on Air Tahiti Nui. Certain flights within the South Pacific, such as these from Sydney and Brisbane to New Caledonia, will be going down in price. It’s not just economy routes that are going down in price. There are a (very) few business-class awards that will also be a little bit cheaper come March 22. 17. Contiguous 48 states to Caribbean: Good news: Redemptions are going down (not by much, but still) just in time for spring break! Thanks to its hubs in Dallas and Miami, American offers tons of flights across the Caribbean region, so you’ve just got to find your connection from your origin within the US. 18. Contiguous 48 states to Central America: Another bit of good news, and one that will save flyers 10,000 miles round-trip for any trips to Central America after the award chart changes go into effect. 19. Contiguous 48 states to Mexico: Redemption rates on both American’s own flights and its partners’ will be decreasing on routes from the US to Mexico, though not by the same amount. Still, you can save between 5,000-10,000 miles per round-trip both on American and — notably — its partner Alaska, which offers tons of flights from its hubs in the west to Mexico. 20. Central America to the Middle East/India: It’s not a huge drop, but still worth noting since it’ll save you 5,000 miles round-trip. 21. Central America to Africa: This drop is a bit more dramatic and could end up saving you 20,000 miles round-trip … if you find some routes that work for you. 22. South America 1 to South America 1: It used to be inordinately expensive in terms of miles to fly within this region in business class, but the redemption level will become more reasonable. This should help bring down the cost for flights within and between Ecuador and Peru as well as Colombia, especially. 23. South America 1 to South America 2: This is another set of partner redemptions that’s going down, and it should help travelers transiting around South America on partners like LAN and TAM — especially if they’re spending the first part of their trip in Peru or Ecuador and continuing south to Argentina, Brazil, Chile or Uruguay. Below, you’ll note a sample business-class award on LAN from Lima to Santiago. 24. South America 2 to South America 2: Planning a trip that takes in Argentina, Brazil, Chile or Uruguay? You’ll be saving 2,500 miles per business-class award flight. This can be especially useful because there are some long flights even within Chile, Brazil and Argentina. 25. 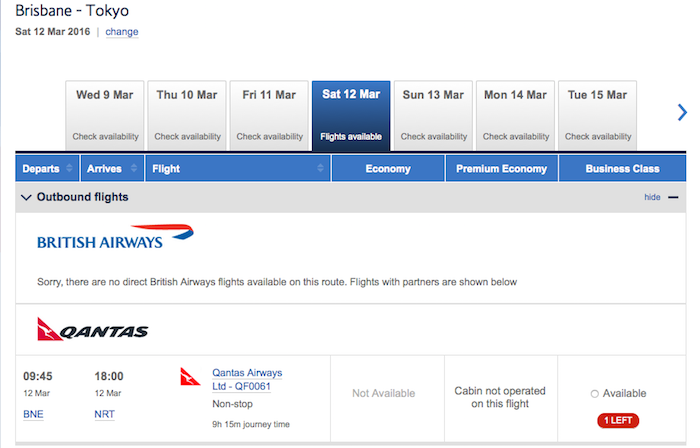 Within Spain or the UK: It’s still not exactly a bargain to fly business class within the UK or Spain on British Airways or Iberia, but at least it will a bit cheaper once the changes go into effect. This can also be useful if there’s no economy award availability on the route you need. 26. Asia 1 to South Pacific: This is probably the best of the redemption values in the business-class section and makes flights between Australia or New Zealand and Japan or Korea on either JAL or Qantas (or via Hong Kong on Cathay) that much more affordable. Take advantage of the new pricing to fly Cathay, JAL or Qantas business class between Japan or Korea and Australia or New Zealand. While not exactly “good news” per se, there are several regions and awards where the mileage requirements are remaining the same. So at least it’s not bad news. 1. Contiguous 48 states to Hawaii: It’s true that American is upping the number of miles required for off-peak awards to Hawaii, but its general Saver level awards are actually staying the same at 22,500 miles, and you can use them to book flights on American or partner Alaska. 2. Contiguous 48 states to South America 1 in business class: This redemption on AA’s partners, including LAN, will remain at a decent redemption level of 30,000 miles each way. Plus, you could use your miles to try out LAN’s Dreamliner from Los Angeles to Lima, or to head to Bogota via Miami or Dallas on American. 3. 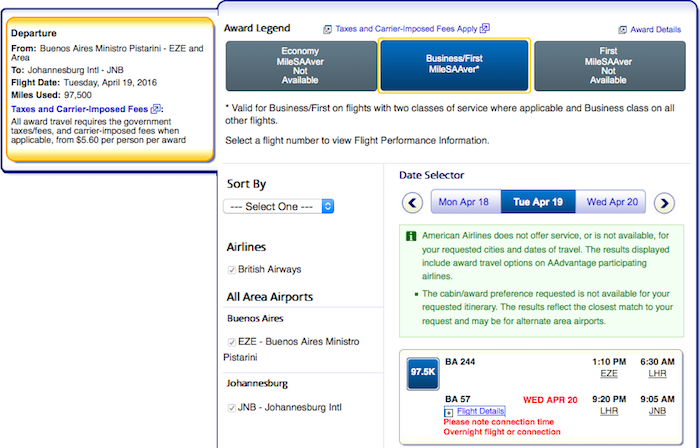 Contiguous 48 states to Africa in business class: This is one of the more difficult awards to find, but there’s still availability to be found via British Airways and its hub in London to various parts of Africa, including Johannesburg, and it’ll still cost you 75,000 miles each way. 4. South America 1 to Africa in business class: These are definitely not the easiest award itineraries to price out (and I’d suggest looking segment by segment on British Airways’ site), but if you can manage to get the system to plot one out for you, it will still cost you the same 90,000 miles each way. 5. South America 2 to Middle East/India in business class: You could fly via Europe and try business class on LAN, TAM, British Airways or Iberia, depending on your routing, then continue on to the Middle East or India on Qatar. It’s a lot of miles, at 90,000 each way, but that’s also a lot of mileage to cover in comfort, so it could be worth it. 6. South America 2 to Africa in business class: This is one of the more expensive redemptions out there at 97,500 miles each way, but it’s a lot of flying. 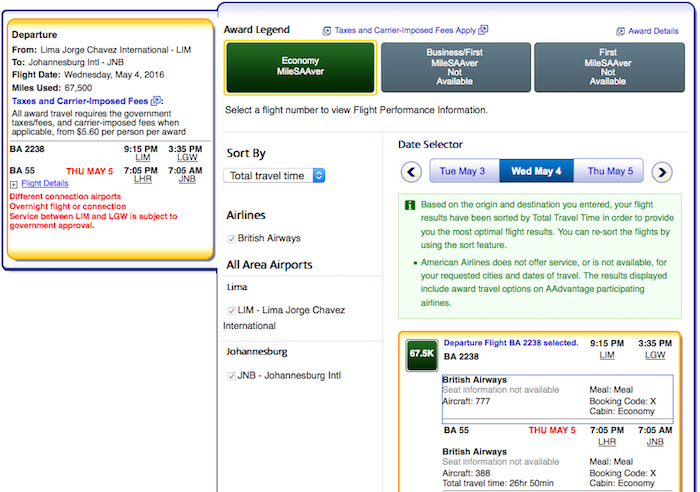 It can be a difficult award to plot out, but there are plenty of options for getting from South America across the Atlantic, and then you’ll likely have to book a BA award from London to Johannesburg from there, like this award I got to price out on AA.com. Though many redemptions, and especially those in premium cabins, are increasing March 22, American is actually lowering the price of some economy and business-class awards. North American flyers will benefit from good redemption levels from the contiguous 48 states to nearby destinations. However, if your travel plans take you to another region, it might be worth looking into awards from there to see if they might be going down in price as well. Are you planning on booking any awards that will decrease in price as of March 22?